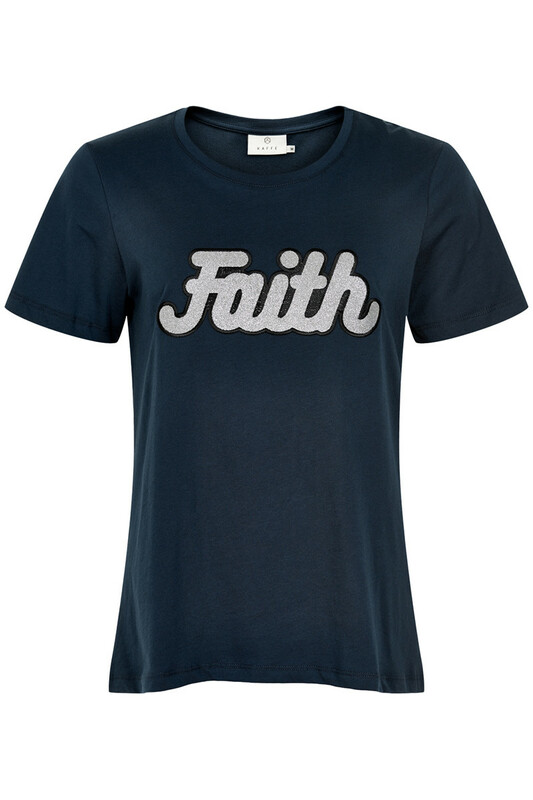 Cool, feminine and pleasant T-shirt from KAFFE. It has a round neckline, a regular fit, is nice to wear and is really easy to style together with both shorts, pants, jeans and skirts. As a cute and eye-catching detail, the T-shirt has a nice statement text on the front with glitter. An absolutely beautiful T-shirt that you’ll come to love – if not already.